I am Roger Perkins, the Virtual Fossil Museum's primary webmaster. Vocationally, I am currently a bioinformaticist (computational biologist). My publications can be seen at Google Scholar. Evolutionary biology (especially Precambrian and Cambrian), paleontology, and science education advocacy are avocational interests. I also contribute to the Palaeos and Western Trilobite Association websites. 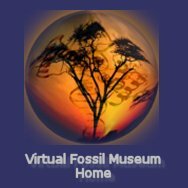 I first placed the Virtual Fossil Museum (VFM) online sometime in 1999 (no longer sure of date), a time when not information was available on fossils and evolution across geologic time. Even the mighty Wikipedia was years away. Back then there was a nice site maintained by UC Berkeley, and a number of other sites that, like VFM, were built and maintained by passionate amateurs. Most of these amateur sites are long gone, and some can't even be found in Internet archives.Among contributors listed in the table below, I would be remiss if I did not single out John Adamek and his colleagues at the Fossil Mall, who from the start gave us full and unconstarined access to images and content, shared his extensive paleotology library, and even gave us many fossils to, in turn, give away to teachers. There were never any conditions attached to his contributions that enabled VFM to, in turn, contribute to scientific education. A partial list of Virtual Fossil Museum contributors across Holocene time, with a link to their web sites or blogs, etc, if I know it and they don't mind. We decided, since we are after all a grass roots, amateur and ad hoc undertaking by an all-volunteer consortium, to let most sections be available as they are being built, revised, edited and augmented; this makes the site easier to build and edit, when all can see it as it evolves. A proud moment was being recognized in the Netwatch section of the prestigious journal Science in the June 17, 2005 edition. Traffic to the site peaked around 2005 at some 3000 visitors per day, or about one million per year. After 2010 traffic has still averaged at some 1000 visitirs per day. Fossil Kits and Lesson Plans: Over many years Robert Drachuk has contributed pictures of fossils and provided paleontological consulting to the Virtual Fossil Museum. He has also through the years generously contributed many fossil specimens to science through public museums. He has long been a supplier to companies that sell fossil kits to the educational community. Recently, he decided he could produce better kits at a better value, and built his own website, Educational Fossils. 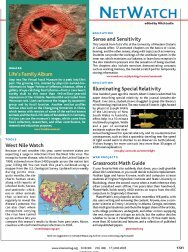 Now, the Workforce Development for Students and Teachers Unit of Pacific Northwest National Laboratory (PNL) has developed teacher’s lesson plans designed around Robert’s fossil kits. In science, this is known as collaboration, and VFM commends both Robert and PNL. Robert tells us that he has only just begun developing a line of fossil kits ranging from the general for primary-age students, to thematic kits for more advanced classroom activities in secondary schools and beyond. Good luck Robert! Every kid should get to have a kit of traces of past life that they can touch and feel. This would foster an understanding of the inextricable linkages of all living things today, and how fragile life can be on a planet earth they will be custodians of all too soon. A final thought: Have you ever seen a wild thing feel sorry for itself? My old reactor physics publications just for the sake of nastolgia, as this is the only place I keep the list.